David Lynch erupted onto the cinema landscape with Eraserhead, establishing himself as one of the most original, imaginative, and truly personal directors at work in contemporary film. He is a surrealist, in the tradition of the great Spanish director Luis Bunuel. Over the course of a career that includes such films as The Elephant Man, Blue Velvet, Wild at Heart, Lost Highway, and the seminal TV series Twin Peaks, Lynch has remained true to an artistic vision of innocence lost or adrift in the direst states of darkness and confusion. Nobody else sees the world quite as David Lynch does. 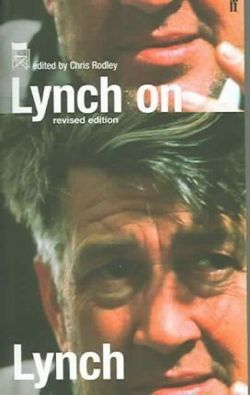 Once seen, his films are never forgotten, nor does the world about us seem quite as it did before.In this definitive career-length interview book, Lynch speaks openly about the full breadth of his creative work, which encompasses not only movies but also a lifelong commitment to painting, a continuing exploration of photography, extensive work in television, and musical collaborations with composer Angelo Badalamenti and singer Julee Cruise.